Sadly, it appears that The Bridge is out. FX has announced that they won’t be producing a third season of the gritty crime thriller. The Bridge revolves around the Mexican and American police detectives and their efforts to protect those along the Texas–Chihuahua border. 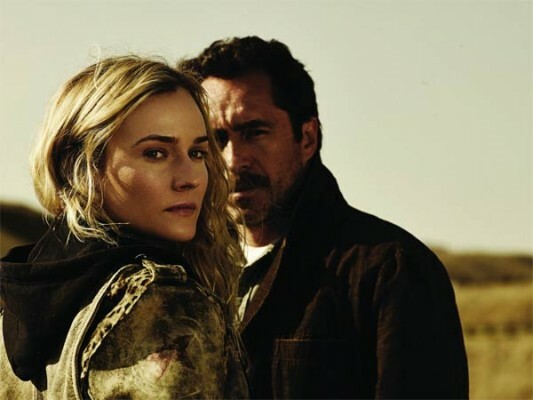 The cast of this crime drama includes Demián Bichir, Diane Kruger, Matthew Lillard, Emily Rios, Ted Levine, and Thomas M. Wright. The show debuted in July of 2013 and the first season averaged 1.77 million viewers with a 0.6 rating in the 18-49 demographic. The second season concluded earlier this month and the season was way down in the ratings. It fell 37% in viewers (to 1.11 million) and fell 44% in the demo (down to a 0.4 rating). What do you think? Did you like The Bridge TV show? Do you think it should have been cancelled or renewed for a third season? I really miss it. Terrific Show! Great show, really enjoyed it. Not as good as the killing but good enough nevertheless. Great creative job done by the whole team. Congratulations. Keep up the great work. 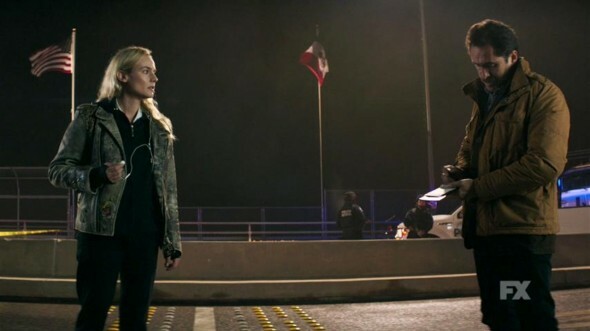 Please bring The Bridge back for a third season on Netflix or Amazon Video. Everybody sign up to those petitions. This show was great. It showed the real corruption on the border. Guess the globalist left wing Libratards got their way again. Loved this show! Please bring it back. there were unanswered questions. Tried watching the other versions the bridge, (Danish) and now There’s one called The Tunnel based on same story. (french/british) FX’s The Bridge was so much better! Bring it back, need to see that chick buck naked. Can’t Fox, Netflix, Amazon Prime or Hulu pick The Bridge up for another season? Why not just bring it back for season three and season four with 10 episodes each? Just set season three in a few years after season two. Like Fox did with The X Files: Season Ten where it was set 14 years after season nine. Liked the series, good story line.